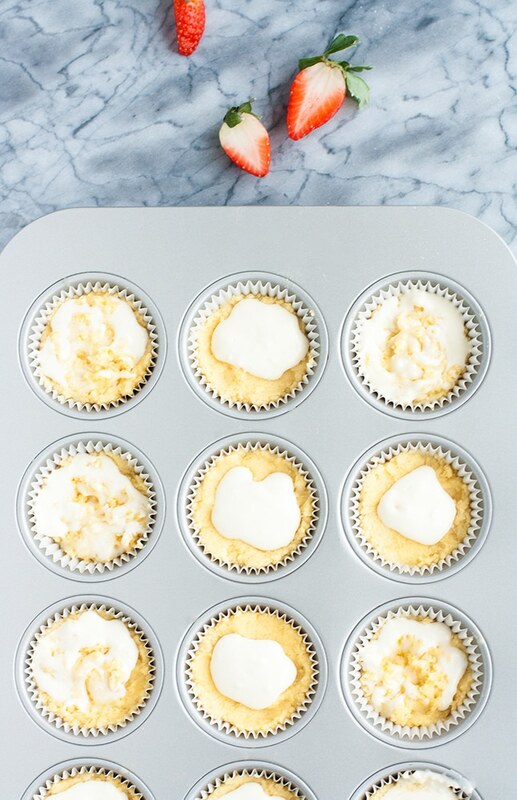 These nut free keto cream cheese strawberry muffins are delicious and so easy to make! With minimal cooking time, you can enjoy these nut free keto muffins in just one hour! Anyone in the mood for some warm, deliciously mouthwatering muffins? 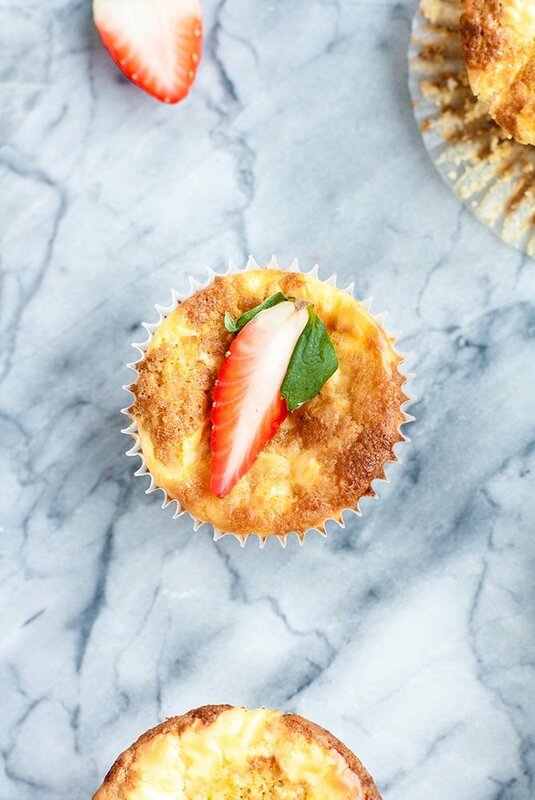 If so, get ready, because this recipe is all about strawberry CREAM CHEESE muffins! These muffins are SO delicious and include a bunch of my FAVORITE ingredients! Muffins are one of my favorite type of treats to make because they are SO versatile. 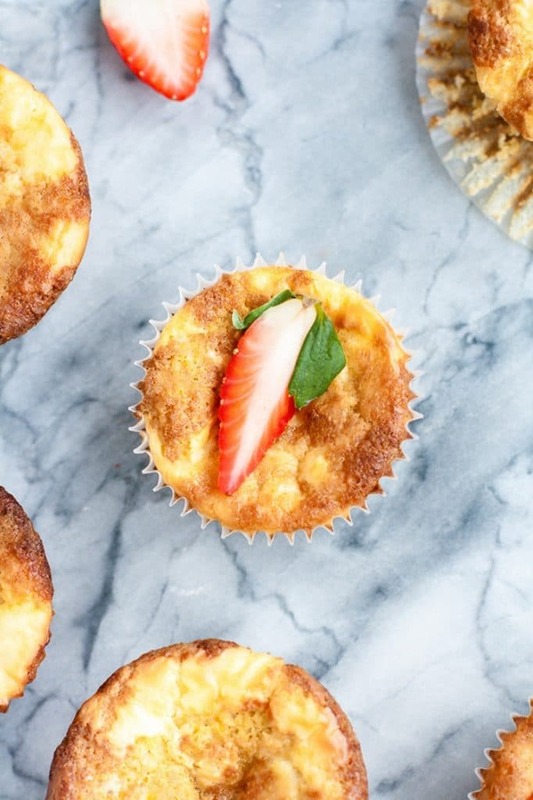 They’re basically cupcakes that are acceptable to eat for breakfast! The option to start your day with a little somethin’ sweet?! Yes, please! I can guarantee that these yummy treats are so different than any other muffin you have had before! 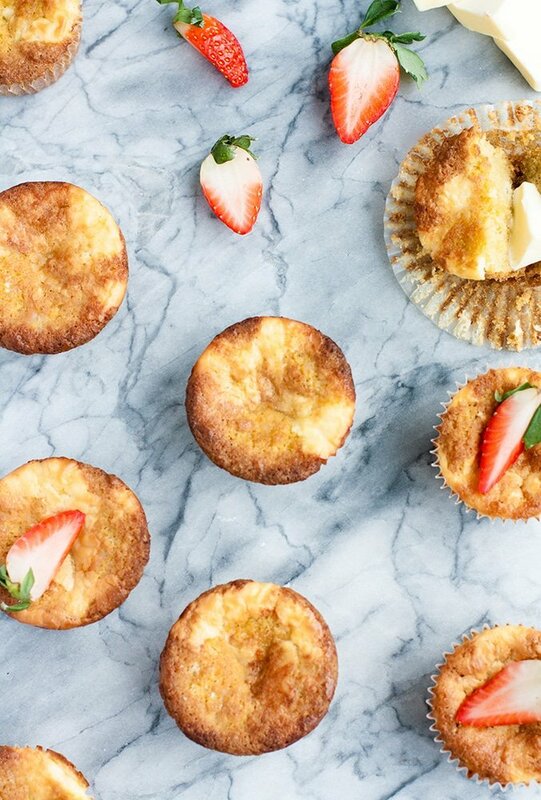 Bursting with flavor, you are going to absolutely LOVE these delicious strawberry muffins. 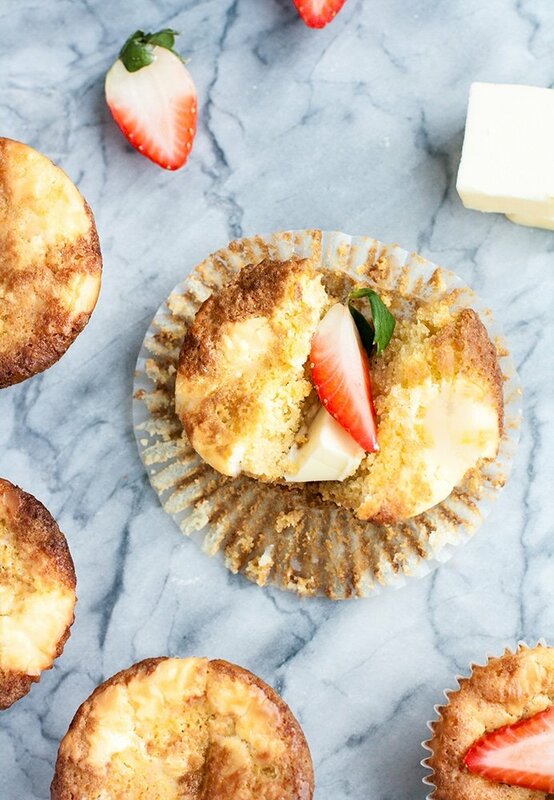 The combination of the strawberry and cream cheese flavor in these muffins is absolutely decadent. I use a combination of ingredients in this recipe that create an absolute flavor bomb that you are going to LOVE. Some of the ingredients in this recipe include cream cheese, sour cream, coconut flour, strawberry extract, vanilla extract, heavy whipping cream, and coconut oil! I LOVE to use extracts in my recipes because they essentially work as mighty little flavor bombs. They are super versatile and can be used in any recipe that needs a bit of extra flavor! 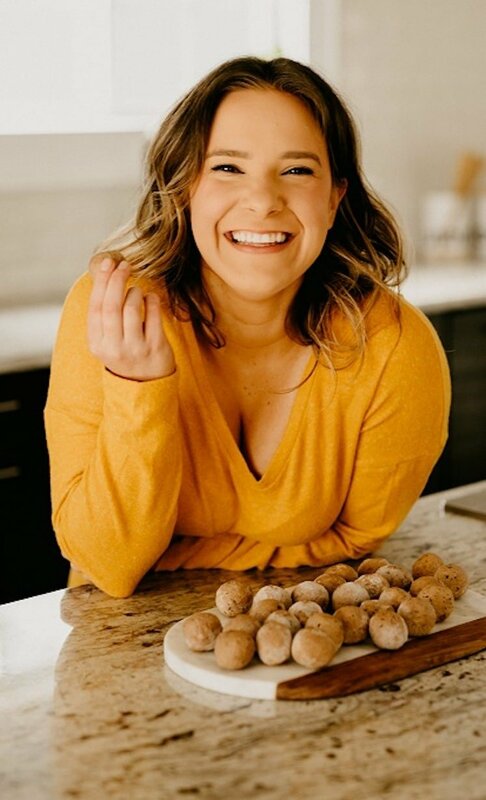 As with all of my new recipes, this recipe is nut free AND keto-friendly! I love to provide low carb dieters with a resource full of amazing recipes. It is so fun to show others that it is TOTALLY possible to indulge in sweets when following a low carb or ketogenic diet! It may come as a surprise, but these muffins only contains 1.1 grams of net carbs per serving. You can TOTALLY enjoy these muffins without sabotaging your daily carbohydrate goal! When making low carb treats, I have to use specific ingredients that allow me to keep the carbohydrate count to a minimum. When creating dessert recipes, I ALWAYS use Lakanto Monk Fruit Sweetener to add a little dose of (carb-free!) “sugary” goodness. This stuff is the BEST, and is SO easy to use! It incorporates at a 1:1 ratio to sugar, meaning no measuring is required. You can use this stuff in ANY recipe that calls for sugar! Lakanto makes two versions: Classic and Golden. 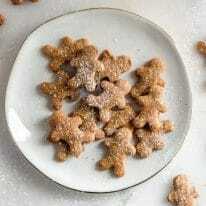 The Classic version (used in this recipe) is typically used as a substitute for white sugar, and the Golden for brown. However, you can use them interchangeably. Whichever you prefer or have on hand will be perfect in your recipe! Lakanto is AMAZING, and not only because of how easy it is to use. 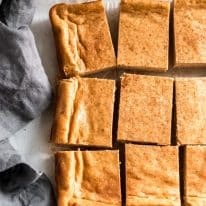 It is great because it tastes EXACTLY like sugar, meaning your recipe won’t have that weird aftertaste that is so frequently present when using other sweeteners. In addition, it is net-carb FREE, calorie free, and ALL-NATURAL! It is also zero-glycemic, meaning it will NOT spike your blood sugar! If you are itching to try out Lakanto, you are in for a little treat! Lakanto is super generous and provides Real Balanced readers with two ways to save! Use code “REALBALANCED” for 20% off on your order. Try out Lakanto’s products with their Taste Test Bundle! 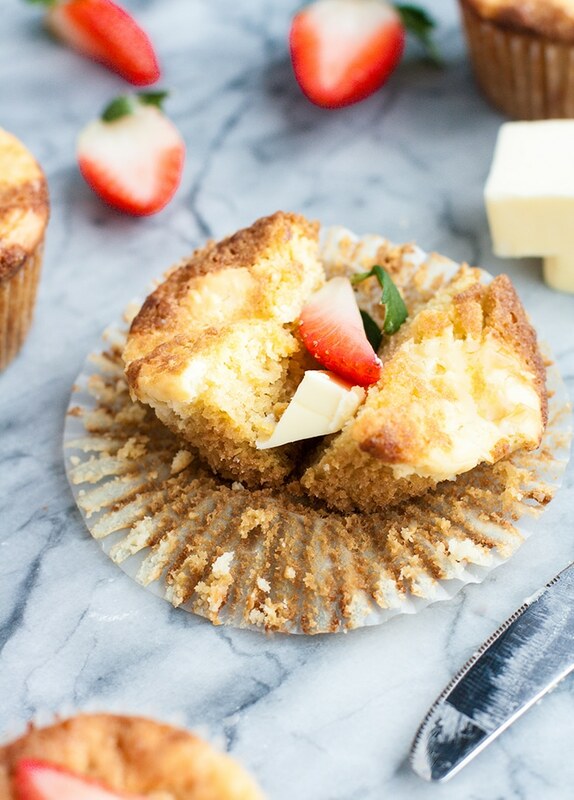 These cream cheese strawberry muffins are both absolutely DELICIOUS and incredibly easy to make! Everyone is so busy these days. The easier and faster the recipe, the better! Super easy to whip up, these muffins only require 15 minutes of prep time! After that, just pop ’em in the oven! Before you know it, you will have some seriously incredible muffins to enjoy. The recipe yields 12 servings. You should probably consider doubling up your recipe, because I have a hunch that you are going to be craving these amazing muffins for daaays! ? This strawberry cream cheese muffin recipe is SO easy! 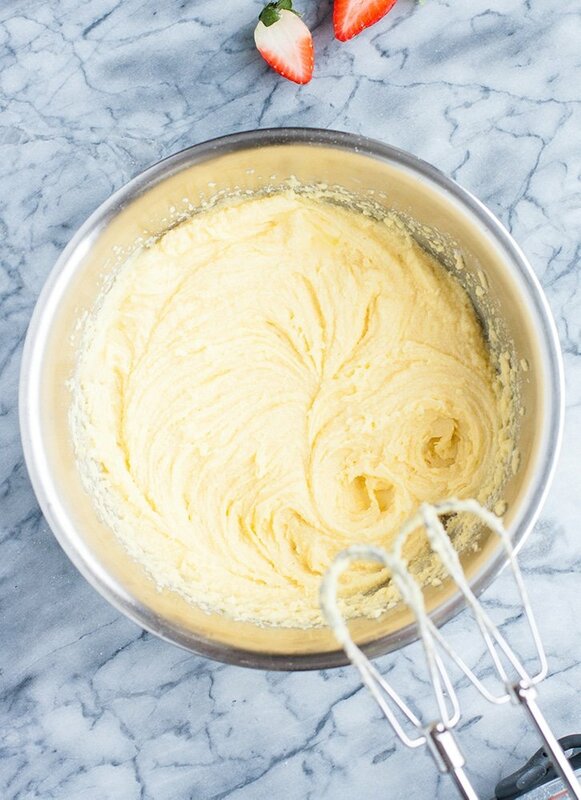 Mix melted butter, eggs, and strawberry extract together using an electric mixer. Add monk fruit sweetener, coconut flour, baking soda, cream of tartar, and salt then mix again with electric mixer. Preheat oven to 350 degrees and line muffin tin cavities with muffin liners. 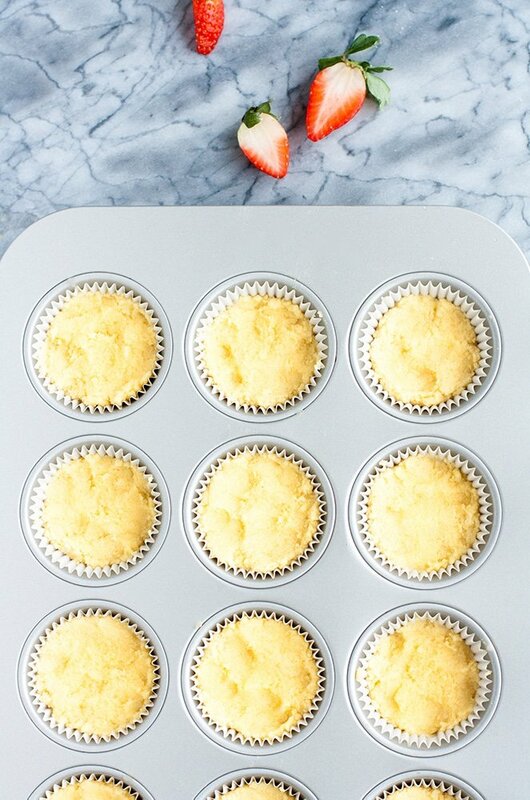 Spoon mixture into muffin liners. To a separate mixing bowl, add filling ingredients and mix with a spoon until well-combined. Spoon filling mixture into muffin liners atop dough mixture. And then, swirl filling into dough mixture using a toothpick. Bake muffins until toothpick can be poked through the center and come out cleanly. Allow muffins to cool slightly to sit in oven for additional 15 minutes before removing muffin tin from oven. Though I mentioned that this recipe is nut-free and keto-friendly, these strawberry muffins are perfect for a bunch of additional diets! Keto and Low Carb: With only 1.1 grams of net carbs per serving, these low carb muffins are PERFECT to enjoy on a ketogenic diet! 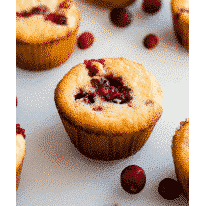 Gluten Free: Free of barley, wheat, rye, and other gluten-containing products, these muffins are safe to consume for those with Celiac or other gluten intolerances. Grain Free: There are no grain products used within this recipe. Nut Free: This recipe is free of peanuts and tree nuts, making these muffins the perfect treat for those with nut allergies and intolerances! 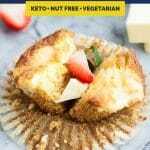 Vegetarian: These keto muffins are compliant with a vegetarian diet. Refined Sugar Free: These strawberry muffins are made using an all-natural sweetener and do not contain refined sugar. Cravin’ some more Real Balanced sweets? No matter your dessert preference, I have a TON of recipes that you will LOVE! Whether you’re a chocolate lover or prefer fruit or cream cheese-based desserts, there is definitely something for you. Muffins, cookies, brownies, fat bombs, cakes… I’ve got it all! Check out some of these crazy tasty ideas. Muffins: Preheat oven to 350 degrees and line muffin tin cavities with muffin liners. In a microwave-safe bowl, microwave butter until melted, about 30 seconds. To a mixing bowl, add melted butter, eggs, and strawberry extract and mix together using an electric mixer. Add monk fruit sweetener, coconut flour, baking soda, cream of tartar, and salt and mix again with an electric mixer. Spoon mixture into muffin liners. Filling: To a food processor, pulse 1 tbsp of monk fruit sweetener for filling until powdered. To a separate mixing bowl, add filling ingredients and mix with a spoon until well-combined. Spoon filling mixture into muffin liners atop dough mixture. Using a toothpick, swirl filling into dough mixture. Final Steps: Bake muffins until a toothpick can be poked into the center and come out cleanly, about 25-30 minutes. Turn oven off and crack oven door just slightly. Allow muffins to sit in oven for additional 15 minutes before removing muffin tin from oven. Allow muffins to cool slightly before serving. Coconut flour is quite dense so, if you’re having trouble swirling the cream cheese filling into the dough, just swirl it as best you can. Then, if the dough has moved around too much, using your fingers, press the dough back down into an even layer before baking. This sounds/looks delicious, but I’m concerned that 6% carbs for 1 muffin seems pretty high for a keto muffin. I’m guessing it’s the cream of tartar and/or baking soda? Can anything else be substituted? Thanks! That is the total carbs in the recipe (including fiber and sugar alcohols). Each muffin contains only 1.1 grams of net carbs per serving. Just made the Strawberry cream cheese muffins. Easy to bake and delicious! So glad you enjoyed, Sandi!